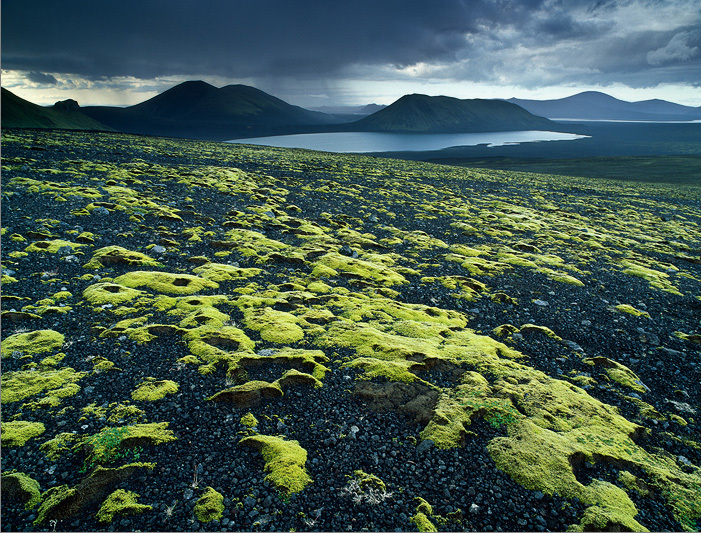 lightharmony Dead volcanos, calm lakes, lava fields and vivid mosses are typical for sceneries one can experience near Landmannalaugar. With the average of 213 rainy days a year, it may seem uneasy to pick on a good photographic weather in Iceland and I was afraid of having to sit and wait for opportunities for a heft of time of our week-long visit to there. The reality proved the opposite. Yes, there were days when changing from rain to sunshine to dizzle was a matter of minutes. But actually these days provided for countless chances to press the shutter if our equipment handled to withstand some more water than usually, which was not always the case. Thanks to rather fantastical and almost bizzare character of landscape, it was sometimes a must to shoot while it was raining to create moody images that may work. Dead volcanos, calm lakes, lava fields and vivid mosses are typical for sceneries one can experience near Landmannalaugar.